Tried the Huddly Go Camera Yet? 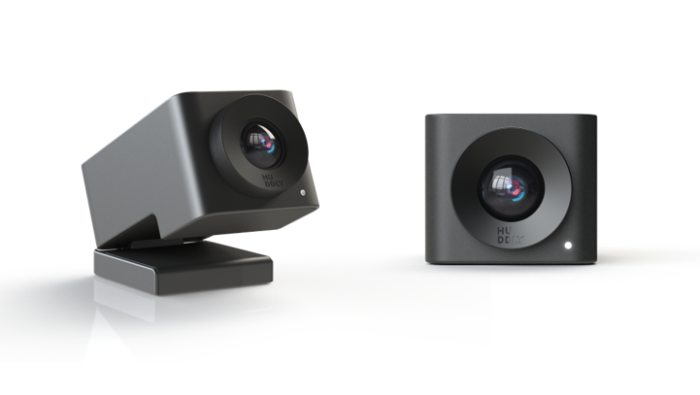 The ultimate smart camera built for collaboration in the meeting rooms. Huddly GO is small enough to fit in your pocket, connects via USB3, works with any Windows, Mac and Linux system, and is capable of providing three separate video streams (4k, 720p and 480p) from its 16-megapixel sensor. What’s not to love about the new Huddly? Your camera will improve over time with regular software updates – not just bugs, but useful upgrades with a single click, ensures your camera will continue to improve with new, cutting-edge features. TWO DAYS OF EXCLUSIVE ACCESS TO BARCO’s LATEST PRODUCTS FOR HIGHER EDUCATION. 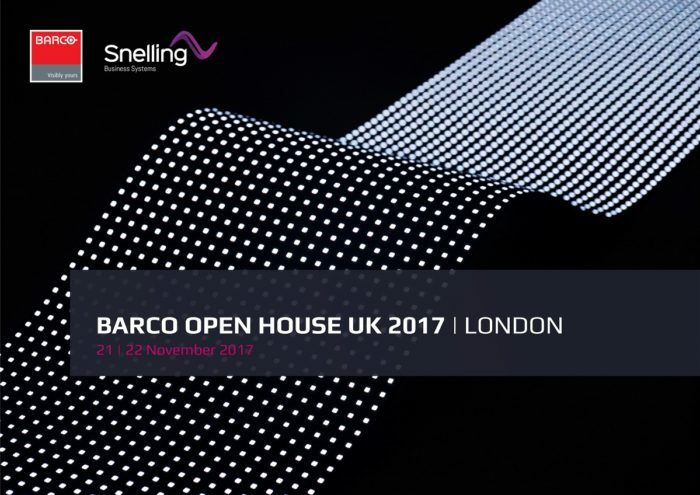 ✓ Meet experts from Barco and Snelling, and take away inspiration for your upcoming refit/new build projects. ✓ Hands-on demo of the latest including ClickShare, wePresent, and Overture. ✓ See Barco’s new control room solutions – including the revolutionary video wall and the OpSpace platform. ✓ Experience the newest range of laser projectors and high resolution LED displays. ✓ Discover how Barco’s new medical imaging displays support better patient outcomes. AND BE THE FIRST TO KNOW! You will have the chance to see an exclusive unseen product launching brand new to the UK. CONTACT abhi @ snellingbiz.com FOR YOUR EXCLUSIVE INVITATION. 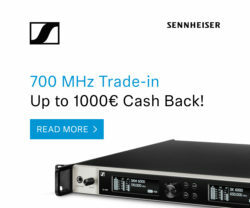 700 MHz Prohibition: Sennheiser Trade-in Promotion! Are you aware of the 700MHz Prohibition? Over the next few years, European authorities will prohibit the use of wireless microphones and in-ear monitors in the 700 MHz band (694 MHz-790MHz). This process has already been started in some European countries- spectrum will be reserved for telecom applications, like 4G mobile networks. OFCOM (in November 2014) also decided to make valuable spectrum in the 700MHz band available for mobile data as soon as practicably possible. Read more here. If you’re affected by these changes, this promotion is for you! Sennheiser will trade in old gear towards your new wireless. It’s very easy and done in two steps! 1) Complete and return the claim form (Enter your email and name on the top right) along with a copy of your invoice. It’s really that simple! Confused? Got questions? Give us a quick call. The World’s First Soft Throwable Microphone! We love the idea. Keeping the audience engaged and enthused is the biggest challenge any speaker faces. So here’s a novel way to do it. At your next conference, Meeting or Lecture, instead of slowly passing around a stick microphone, simply throw the Catchbox! People don’t go to lectures, conferences, or meetings just to listen to someone talk; that is what youtube, email, and the internet is for. Instead, events should be about engagement, participation, and discussion, not just information. CatchBox makes it easy to do so. Of course, no two events are the same and each with their own set configurations. For the same, CatchBox comes in two variants. CatchBox Lite for a seamless plug-and-play experience. Lite comes with a 30m/100 feet range for audiences ranging upto 100 people. CatchBox PRO with 90m/300 feet range suitable for audiences upto 2000 people. The Pro also claims >20h Battery life but you will require your own transmitter. They also come fully customisable and with interchangeable colours to carry your brand styles. To answer the obvious question that comes to mind when you’re throwing the CatchBox around- they are equipped with a unique magnetic locking mechanism which ensures that the inner capsule doesn’t pop out when the device is thrown. Just so we don’t blow ears out when the CatchBox is dropped- the AutoMute function cuts all the unwanted sounds when it is in motion. There’s a lot more to Catchbox. Curious? Have a question? Contact us to buy or find out more about the CatchBox. We love the idea. What if you could remotely map any content to any object or feature, using your existing projector? Better still, use DisplayMapper for individual installations, or to manage hundreds of locations. DisplayMapper can play videos, interactive content and video map live web pages. Sounds good? It gets even better- There’s an App for it. All you have to do is a create an account, download the app, upload your content and manage all your devices/content from one dashboard. You could well be sitting miles away in a different country.